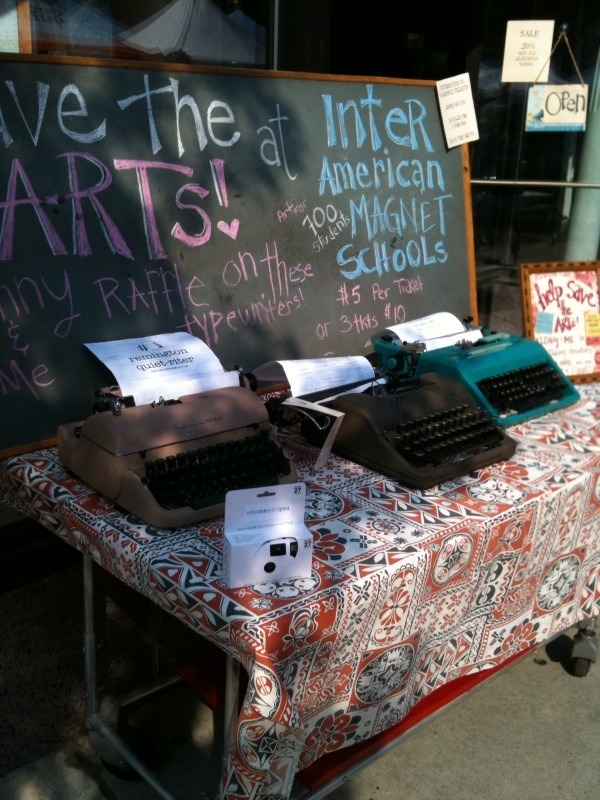 If you’re so inclined, make stuff. That one blog post was a part of a larger endeavor called the 30-Day Creativity Project. I haven’t thought about it in ages, and when I saw Amy’s post, it reminded me of how many wonderful things came out of that one random idea. … for 30 days, I’m going to attempt to complete one project from start to finish every day. It might be silly, it might be crap, but at least I made something. I got started right away (and actually, one of the days was creating this site… which was originally on Tumblr… oops). Some days were genuinely fun, like making an impromptu podcast with a friend, other days were pretty pathetic, like making up something random at 2 a.m. at a bar. You can see all of the posts here. Either way, good or bad, cool or crappy, it was important to just stick with it. After I finished the 30 days, I thought to myself, well, What’s next? Randomly on Twitter, I saw that there was an art competition that was giving away $1,000 for an installation in a vacant storefront in Wicker Park. I would’ve never felt qualified enough to apply without having completed the 30-Day Creativity Project, but being on a creativity kick, I applied, and got it. 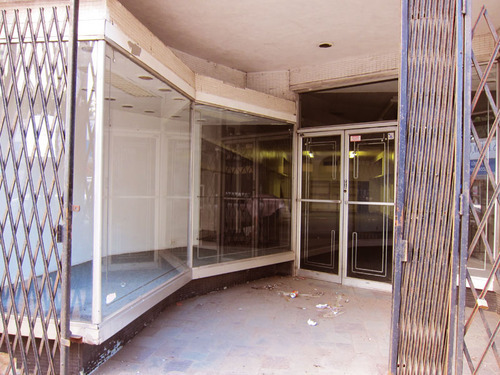 So, they gave me the keys to a vacant storefront in the neighborhood. 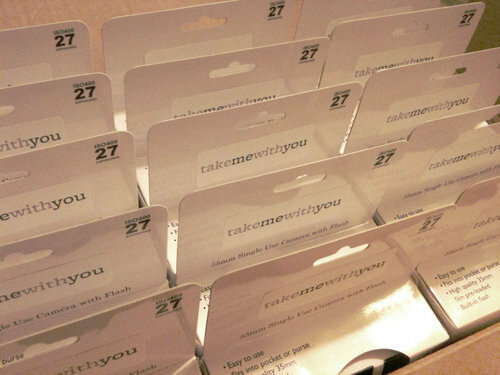 I hid the cameras all over the neighborhood, and tweeted out their locations, hoping that the takemewithyou label would encourage people to pick them up. People found them. And took pictures with them. And mailed them back. Packages started showing up at my apartment. I worked out a deal with a local camera store to discount the processing of all the photos. 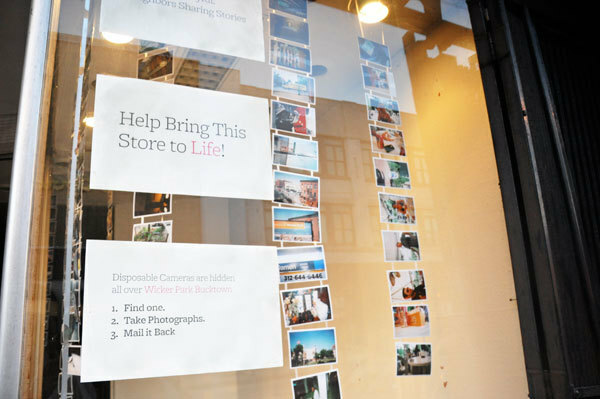 Every week, I’d develop the photos, return to the storefront and fill it with photos. By the end of the summer, there were more than 1,000 photographs hanging in the store, celebrating the stories of the neighborhood. 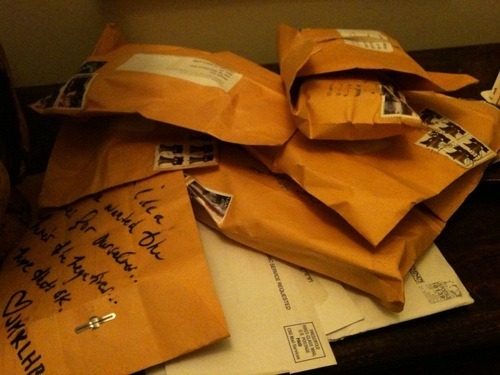 From there, takemewithyou312.com was born (with its accompanying behind-the-scenes blog). It was written about on Marie Claire and CBSLocal. I met a ton of amazing people. I learned a heck of a lot. I would’ve never done all of that without randomly doing the 30-Day Creativity Project, and sticking with it. At the end of the summer, I decided to add the project to my work resume. Though it wasn’t directly work-related, I thought it might help me stand out from other applicants. I’ve heard from my colleagues at both America’s Test Kitchen and Automattic that including the project helped me get hired. When Amy posted about the project last week, I honestly hadn’t thought about it in ages, but, I realized that so many great things came out of that one random project. It made me think about how maybe it’s time for more creativity in my life. I had forgotten how rewarding these projects can be, and this was a nice reminder. So, I guess the moral of the story is, if you’re so inclined, make stuff when you’re inspired. Make time to make stuff, because making stuff leads to awesome things, even if you don’t expect it. What a great idea! That sounds like a great project and to get there creative juices flowing daily!